1. What is a portacath? A portacath (port) is an implanted device that gives access to your veins. This allows you to have intravenous medication and blood tests taken. The generic name for a portacath is a Totally Implantable Venous Access Device (TIVAD). Ports are most suitable for people who need regular, long-term intravenous treatment such as chemotherapy. People who have difficulty with other types of intravenous access, such as PICC lines or Hickman lines, can also benefit from having a port. If they are looked after, ports can provide intravenous access for over five years. 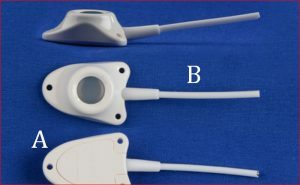 A portacath consists of two parts: the portal body and a catheter. 2. How are they put in? You will go to the operating theatre and your port will be put in by Mr Lewis. A general anaesthetic is often preferred by patients, but portacaths can be put in under local anaesthetic. 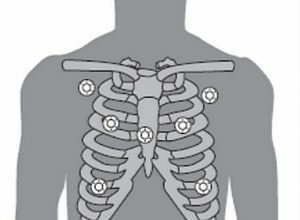 Ports are usually placed on the chest wall. A small incision and “pocket” is made on the chest wall. The portal body is placed into the pocket and is stitched to the muscle to hold it in place. We will discuss with you the best place to put your port before the operation. The catheter is tunnelled under the skin to one of the main blood vessels in the neck. 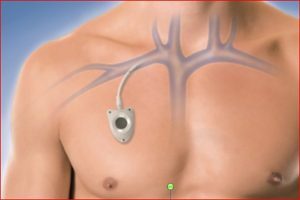 A small cut is made over the vein, and the catheter is fed through the vein until the tip of the catheter is sitting just outside the heart in one of the large veins in your chest. Both the pocket and the incision for the catheter are closed with dissolvable stitches. Portacaths can usually be inserted as a day procedure, or you may be asked to come in for a short hospital stay for your portacath placement. You will have some tenderness or discomfort at the incision sites after the insertion. This is usually able to be managed with oral medication such as paracetamol. The discomfort should settle after 2-3 days. One of the advantages of having a port put in is that when they are not being used, they are completely under the skin, with no tubing or catheter visible. This means you can shower and do your daily activities without having to be concerned about your port. 4. 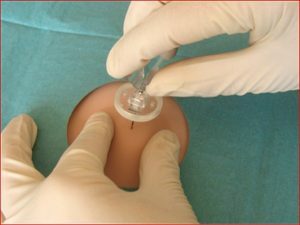 What are the risks of portacath insertion? The risk of something going wrong when your portacath is being placed is small. Complications can include blood vessel injury, wound infection, excessive bruising, air embolus and a small risk of the lung being punctured during insertion. Mr Lewis will discuss these with you. In the longer term there is a risk that the catheter can block or become infected, in which case it will need to be taken out. There is also a small risk that the vein under your collar bone, in which the catheter lies, can clot off. This can result in some swelling of the arm but is usually not serious. Rarely the port or the catheter can move. 5. How are ports used? After your port has been inserted it is usually left for one week before being accessed and used. This is to allow any bruising and/or swelling to go down so that it is more comfortable for you. Local anaesthetic cream can be put over the port site to numb the area before your port is accessed. The cream is usually left on for between 30-60 minutes. The cream is wiped off and the skin on the chest wall over the portal body is cleaned with antiseptic solution. The nurse will wear sterile gloves and access the port using a special needle (called a huber or non-coring needle). Once the port has been accessed, the needle can be left in place for one or two weeks. All treatment and sometimes blood tests can then be done using the port. The needle is secured in place with a transparent dressing. It is important to keep this dressing dry. When the port is being used for treatment the needle is changed once a week or once every two weeks. When not being used the port is accessed and flushed every 4 to 6 weeks. This is to make sure the port does not get blocked. If the port site becomes red or sore, notify your doctor or Mr Lewis immediately. If you have any questions or wish to discuss having a portacath inserted, please speak with your nurse, medical consultant or Mr Lewis. 7. Does the Portacath need removing? When you have finished your course of treatment and you have been told that you will not need any further intravenous therapy you may choose to have your port removed. This can be done under local anaesthetic and is a more simple procedure than putting the port in.